Discover the secret of the success of the Improve your Sight-Reading! series in this workshop: perfect for all teachers wishing to improve the sight-reading skills of their pupils. You will learn how to help students understand the process of sight-reading and develop fluency, accuracy and confidence. The often-feared sight reading test is an essential and valuable part of the musical assessment process and Paul’s experience in helping young musicians face it head on, and come out smiling, will be an inspiration. In this workshop, Paul will work with a small group of primary age children, observed by teachers and parents. ​As music teachers, of the three main areas of study that fill up our contact time with pupils — the development of technique, the nurturing of artistry and actually learning the language itself, it is usually the latter that often gets minimal (if any) attention. But it is of extreme importance, especially if we are to help developing musicians achieve their full potential and become fully functioning independent musical thinkers and practitioners. It is far from an exaggeration to say that those pupils who might not instinctively 'get' the main concepts of musical language (and are not taught it) will probably give up at some point, often sooner rather than later, confused, puzzled and maybe disappointed. In this workshop Paul will try to redress this situation. He will investigate the areas of our world that may be said to be the Language of Music, why they are so important and explore how we can teach them in a fun and practical way. This session will be relevant and helpful for teachers, parents and pupils alike. He now has over six hundred publications to his name mostly dealing with a vast array of subjects mostly concerning music education. His Music Teacher's Companion (co-written with Richard Crozier), won the UK's MIA Best New Book award and his series 'Improve Your Theory!' the Music Teacher Best Print Resource Award. He writes regularly for many of the major international music magazines, including Music Teacher, BBC Music Magazine, the ABRSM's Libretto, and the American ICA journal, and is in great demand as a workshop and seminar leader and adjudicator in the UK, and across the globe. Paul has also undertaken research into specialist music education for the highly talented (the clarinet prodigy Julian Bliss numbers among his pupils), an interest that has taken him to many musical institutions around the world. 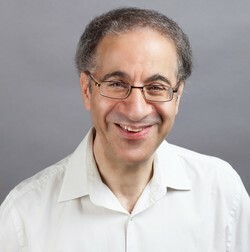 He performs regularly, often in his voice, two clarinet and piano ensemble with Kathryn Knight, Jean Cockburn and Bethany Philips. He is an examiner and adjudicator and is frequently asked to take part in national events including the Chamber Music for Schools Competition, Music for Youth, the BBC Young Musician of the Year and Classic FM's teacher of the year. He has created and and continues to develop Simultaneous Learning, his highly acclaimed approach to instrumental and singing teaching which has found support all over the world. Paul's innovative teaching techniques combine thoroughness, imagination and practicality, which are the defining qualities of his outstandingly successful work.